No job is perfect, as anyone who has ever held a job knows; however, the pros and cons of working in the oil industry are significantly more pronounced than in many others. For instance, while the pay for the majority of positions in the industry is great, the hours are long, and extensive travel is often required. 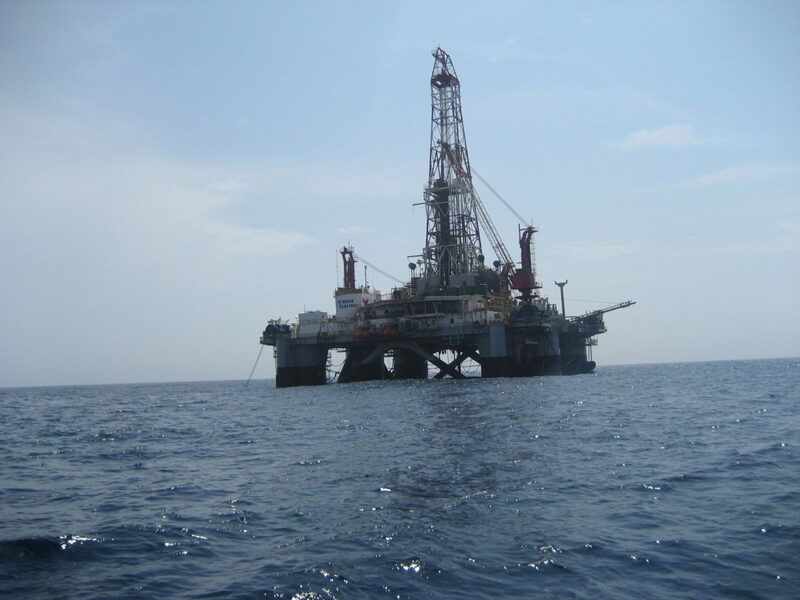 Similarly, while the work environment of an offshore rig is never dull, it can also be physically demanding, unpredictable, and even dangerous, if the proper protocols are not followed. That said, if you do not mind physically demanding work, and slight overhang of danger, few industries in the world offer the kind of salary and opportunities for advancement as the oil industry provides. In the world of offshore oil drilling, the salaries for even entry-level positions range from $47,000 to $80,000 per year. More technical positions, such as Chief Electrician, and managerial positions, such as Installations Manager and Company Man, produce salaries of $83,000 to $160,000 per year. When taking into account the fact that many workers only work six to nine months of the calendar year, the compensation for offshore positions is even more impressive. Because the work on an offshore rig is never ending, the majority of workers are required to work 12-hours shifts, seven days a week, for seven to 28 days at a time. Additional overtime is required on an emergency or project basis. It is not uncommon to work upwards of 80 hours per week. If you cannot handle being away from home seven to 28 days at a time, or if you have family members that depend on your presence in the home on a daily basis, then work on an offshore rig is not for you. That said, you could always work on a land-based rig, or as part of a seismic exploration team. The pay for land-based positions isn’t quite as high as for offshore positions, however you will be able to go home at the end of the day, in the majority of cases. Because many oil companies provide training and education for entry-level positions, it is possible to obtain a position in the industry without prior training. In addition to the training you will receive onsite, all workers are required to complete First-Aid and extensive safety training, administered by the Rig Safety and Training Coordinator (RSTC). As you move up the ranks, you may have the option of attending company-sponsored educational seminars and/or certificate programs. If so, you should take advantage of these opportunities, as the more training and experience you have, the more positions you will be qualified to apply for. Also, your rate of pay is likely to increase with training and education. On the flipside of the danger factor, few industries in the world offer better health insurance than the oil industry. After all, in order for production to continue, workers must maintain the degree of physical health required to execute their job functions. While the details of insurance plans vary, the majority of plans include vision, dental, and personal injury coverage. For a truly motivated individual in good physical condition, the opportunities for advancement in the oil industry can be limitless. Many workers begin at the bottom, in positions such as a Maintenance Roustabout, Painter or Motorman, only to work their way up to more technical or managerial positions. The key to advancement is an eagerness to learn, and the ability to apply learned techniques and skills on a daily basis. Come rain, shine, sleet or lighting, offshore installations operate 24 hours a day, in all weather conditions. If you like working outdoors, and you do not mind getting caught in a thunderstorm, this could be the job for you. Conversely, if you burn in the sun and melt in the rain, you might want to consider another line of work, or another sector of the oil industry. As you can see from the list above, the pros of working in the oil industry outweigh the cons, provided you are physically fit, mentally acute, and eager to learn. If you decide to pursue a career in the oil industry, begin by relocating to an industry hotspot, such as Alberta or Nova Scotia, Canada, Texas in the U.S., or the Middle East. In other words, follow the oil! Being available for job interviews, job fairs, and company-sponsored educational seminars will greatly increase your chances of obtaining a job in the oil industry. !my boyfriend work in an offshore rig. I don’t see him often because i work in east cost. He claim he is in the platform working for almost four months now. I mean literally not going home at all for that span of time. My question is , is he telling me the truth? Is it really possible that workers stays in the pkatform that long? Or he us lying to me.